Eight months into the job as a member of South Texas College’s Board of Trustees, Victoria Cantu says advocating for the college on a national level remains her top priority for 2019. Always eager to serve as a public advocate and ambassador for the college wherever she visits, Cantu said her job on the board remains to ensure that STC stays at the forefront, leaving an indelible imprint on society that empowers all students. Cantu is currently the CEO of Children’s Education Station, a childcare program based in Peñitas, Texas assisting with the development of children ranging in ages from infant to elementary level. She represents District 2 for STC, which serves the areas of La Joya, Western Mission, Palmview, Sullivan City, Penitas, and Western Alton. She began her position on the Board in May 2018. Equally important priorities for Cantu include supporting the development and maintenance of innovative, high-quality programs that meet student, employer and community needs. Cantu says she wants to encourage the college to adopt common business practices and services that facilitate student access and success as well as help close the achievement gap and improve outcomes for all students by supporting recruitment, retention, and increase graduate completion rates. 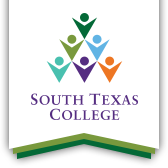 Continue to advocate for South Texas College locally, statewide and nationally. Support the development and maintenance of innovative, high-quality programs that meet student, employer, and community needs and maintain the excellent reputation of the college. Ensure opportunities for all types of students, including transfer, workforce, basic skills, and lifelong learners. Encourage the college to adopt common business practices and services that facilitate student access and success.